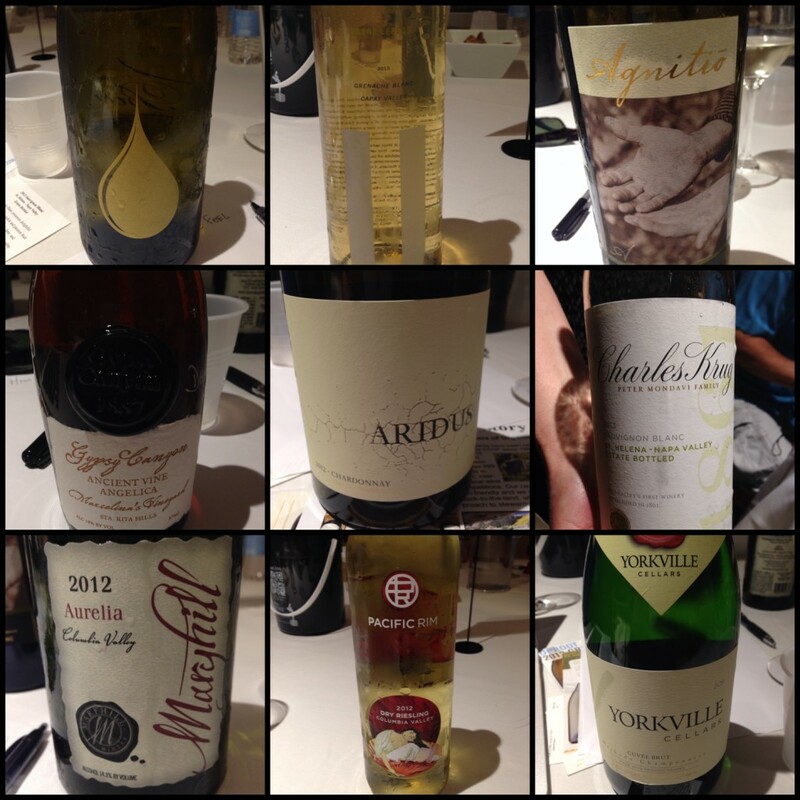 TEN WINES in 50 MINUTES — live blogging from the #WBC14 in Santa Barbara. Here goes–please excuse typos! Interesting fact: “What will shock you is our alcohol level – we are bringing transparency and putting the “actual” ABV level.” – Jay Levy owner, Greg Scheifeld is the Winemaker 6’7”. Rating: 3.5 — a little smoky and bright citrus. Interesting Fact: It’s a friggin Angelica. Period. Rating: 3.5 — super sweet and balanced between mineral and almonds and candied peaches and jazz like that. PS — To read Marcella Newhouse’s take on the session, go here. We sat next to each other, tasting and typing ferociously!